Hurricane Maria, which pummeled Puerto Rico in September 2017, is likely responsible for the deaths of more than 4,600 people -- some 70 times higher than official estimates, U.S. researchers said Tuesday. The government-provided death toll stands at just 64, but experts say an accurate count was complicated by the power outages and widespread devastation wreaked by the storm, which caused $90 billion in damages and is ranked as the third costliest cyclone in the United States since 1900. Earlier independent investigations have put the toll at closer to 1,000. The latest estimates, compiled by researchers at Harvard University, came back far higher -- at 4,645 deaths from the day of the storm, September 20, until December 31, 2017. For comparison, the death toll from 2005's Hurricane Katrina -- the costliest hurricane in U.S. history -- was estimated at 1,833. Researchers went door-to-door at 3,299 homes randomly selected from across the U.S. territory, which is home to some 3.3 million people. Survey-takers used criteria from the U.S. Centers for Disease Control and Prevention to determine if a person's death could be blamed on the hurricane. By definition, this could be either forces related to the event such as flying debris, or unsafe or unhealthy conditions in the three months afterward including loss of necessary medical services. The surveys were taken from January to February 2018, a time when, researchers noted, "many survey respondents were still without water and electricity." 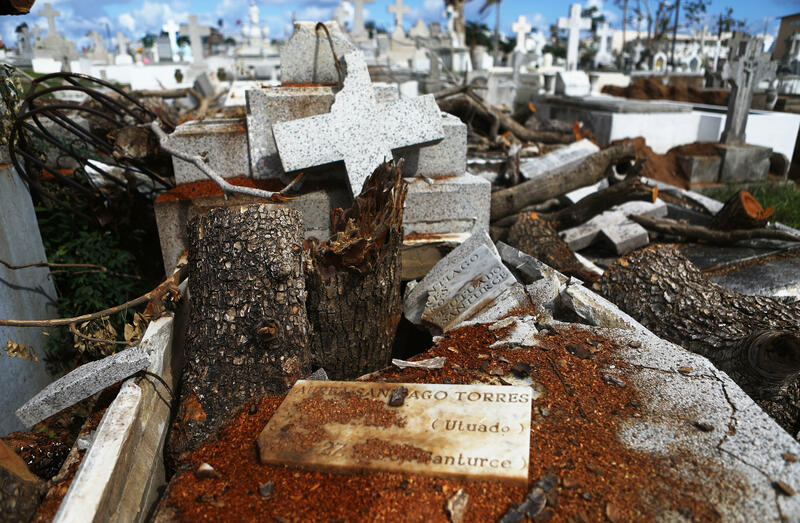 The data showed a 62 percent increase in the mortality rate in the aftermath of Hurricane Maria, compared to the same period a year earlier, corresponding to a total of 4,645 deaths. Even this is believed to be a "substantial underestimate" of the actual death count, said the report, noting it could be above 5,700. "Our estimates are roughly consistent with press reports that evaluated deaths in the first month after the hurricane," it added. "On average, households went 84 days without electricity, 64 days without water, and 41 days without cellular telephone coverage." "These numbers will serve as an important independent comparison to official statistics from death registry data, which are currently being re-evaluated, and underscore the inattention of the U.S. government to the frail infrastructure of Puerto Rico," concluded the report.